I do not write this to make anyone feel guilty for saying "HAPPY Memorial Day!" (But please, don't do that.) I don't want anyone cringing because maybe they've said the wrong thing or been oblivious to the true, deep meaning of this holiday. I was once there. I was once you. I didn't do or say things out of callousness, I just didn't know any better. Most people in America today are getting ready for the long weekend, excited about plans, hoping for good weather, getting those last minute BBQ items. And that's fine. We SHOULD enjoy our off times. We SHOULD enjoy our friends & family. 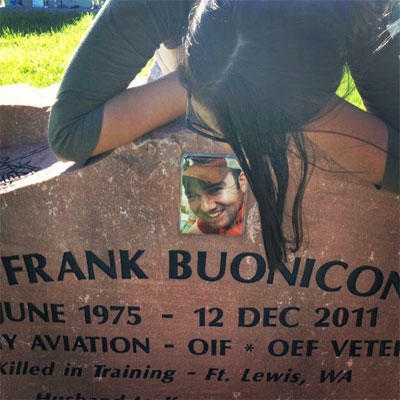 Then there was war and we started losing people we knew, people Frank flew with and it took a different meaning. I was in Arlington Cemetery on Memorial Day in 2010, a month after Frank returned safely from Afghanistan. Westboro Baptist Church was protesting on one side of the entrance. Frank said "If we didn't have kids with us, I'd be willing to go to jail today." The cemetery was a hard reality that day. Parents placing flowers on sons' graves. Wives sitting in chairs at the foot of gravestones. I didn't want to be there. I didn't want to see it. Because I knew it could have been me. I was thankful we escaped it. Memorial Day fell out of my mind. Nineteen months later I got The Knock. We had, tragically, NOT escaped it. And in a chapel decorated for Christmas, with my family and friends I sat like a statue at the 21 gun salute. When the colonel handed me the flag that was folded on my Frank's coffin, my then 6-year-old son kept asking his uncle "What's in that box? Is that my dad's skeleton in there??" My 10-year-old daughter sat clinging to my hand. My two other tiny sons were at home, too little to understand. I, myself, in those early days, had yet to even begin to understand. It's been a weary, winding, up and down, breathless, nonstop road of grieving these last two years and five months. 891 days, to be exact. And we've learned. We're still learning. This will continue to change and shape us for the rest of our lives. Last week I was in Washington, D.C. and during a late night walk through the Vietnam Wall Memorial, I picked up a flower with a laminated sheet of paper attached to it. A widow had left it for the husband she lost 40 years ago. It was a touching letter from a woman, widowed young, who had the courage to move forward but the pain of loss was in every word. Forty years later she was still leaving him a flower. 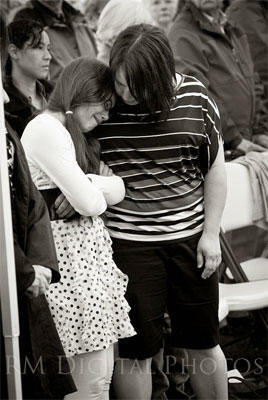 The heaviness of life-long grief sat with me that night. Because EVERY day is Memorial Day. And I don't want it to be. This is our third Memorial Day since our world changed. 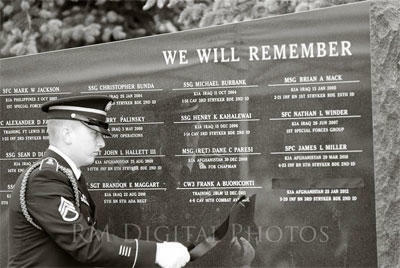 On our first, in 2012, Frank's name was added to the War Memorial in Dupont, Wa. We had not yet buried him anywhere, so that was the first time we were seeing his name, etched in stone, with an end date. It still didn't seem real. And at times, that feeling remains. On THAT Memorial Day, we had gained a new perspective. And I realized I had a new duty. To share him. To keep him alive in memories. To make sure the world knew this burden. I can't keep it to myself. I can't let my children shoulder it all either. They already carry so much. 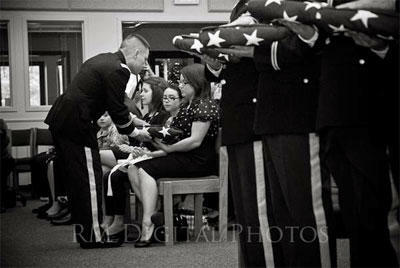 Our country sets aside just this one day a year to honor our fallen. Some of you don't get it though. We are not all afforded a long, long life. This holiday is not about thanking veterans, or sales or <insert all the things we do on long summer weekend>. 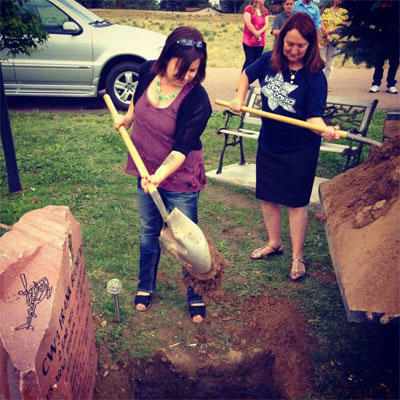 After our second Memorial Day, last June, on a sunny Colorado morning, we buried Frank's ashes in our hometown. I rode to the cemetery with his Army issued box of ashes on my lap. That was a six-foot tall, 200 pound man with a larger than life personality. In a wooden box on my small lap. I will never forget that ride. Or the preciousness of shoveling the dirt over that box with his mother. Or the terrible feeling of just the kids and I standing there at his headstone. Nothing will ever be right about that. Their daddy hadn't hugged them in 18.5 months by that point. These things are all frozen in memory. Those memorial days. As this Memorial Day approaches, I have a steadily increasing anxiety creeping up inside me. There is so much pressure to participate in ALL THE THINGS. Yet there is a part of me that wants to run off for the weekend and hide away until the rest of the world is done with their ONE Memorial Day. Because when EVERY day is Memorial Day for you it gets overwhelming when everyone else gets on board. But I think about the little boy who was born in Germany to Frank and Silvia, who liked to ride his bike fast and sing "Eye of The Tiger" to himself to ride faster and faster. The little boy who grew up to be a soldier, a husband, a daddy and a combat pilot. 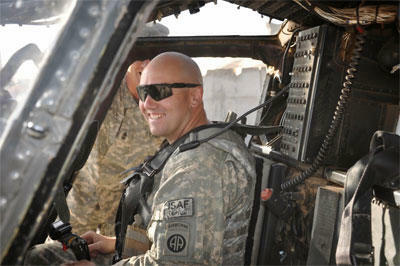 The little boy who grew up and his life ended in service of his country at 36-years-old. He had little boys and a little girl of his own. And I tuck them in all by myself every night and I tell them stories about him and laugh at memories of him with them. I share his stories with the people I know and people I meet. I push forward and do things to honor him and remember him well. I remember with an ache in my heart that will ALWAYS be there, the years before every day was a Memorial Day. I share these things with you to remind you that there are people who move along every day that are carrying the weight of loss. Remember their sons and daughters, their husbands and wives, sisters, brothers, fathers, mothers, friends. Don't remember our loved ones just this one day. And please use this ONE Memorial Day to do something, even something small, to honor the fallen. Teach your kids about it. Then go for a run or throw a Frisbee, eat a hot dog, laugh until you cry, kiss your sweetheart and appreciate your freedoms. Too many died young in service of our country. Too many didn't get the luxury of growing old. say: it is you who must say this. We were young, they say. 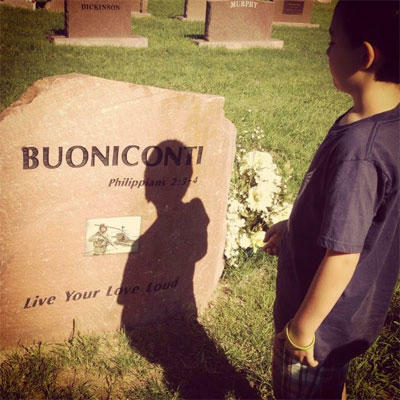 Kryste Buoniconti lives with her children in Texas.